Mugdha Rachakonda, Class XI Commerce student of DAV Public School, Chandrasekharpur who bagged Second Position in Classical Dance Category in 21st National Youth Festival concluded recently at Maharishi Dayananda University, Rohtak, Haryana for further course of action at your end. Ananya Singh, a Std. XII (Humanities) student of DAV Public School, Chandrasekharpur has taken part in the International Affairs & security sessions for the young achievers at Yale University, the USA from July 9 - 22 as the lone participant from India. The student pool of 110 countries and 50 USA provinces exchanged their viewpoints in the plenary sessions. The delegates also got the unique opportunity to visit the top USA organisations & exchanged ideas with seasoned bureaucrats, diplomats & educationists. Ananya's dissertation India's stand on world peace was highly appreciated by the resource persons. ANANYA SINGH RECEIVING PRIZE FROM THE CHIEF MINISTER OF ODISHA, SHRI NAVEEN PATNAIK, IN THE STATE LEVEL DEBATE COMPETITION organized by the information and public relations department of odisha, ON THE OCCASION OF the CELEBRATION OF PANCHAYATI RAJ DIVAS ON 05MARCH’13. Bhubaneswar – 27-12.13 Miss Samikshya Satpathy, of Class-VIII student of D.A.V Public School Chandrasekharpur has bagged the National Child Award for painting which carries a cash prize of Rs 25,000/- and a citation. Joining as the Chief guest Sri Harish Rawat,hon’ble Minister of Water resources. Union Minister of Water handed over the Prize to Samikshya in a special function organized in New Delhi at Agricultural Research Center, PUSA recently. Satabdi Debadulari, Std. IX student of DAV Public School, Chandrasekharpur, Bhubaneswar who has been conferred with the NATIONAL YOUNG ENVIRONMENTALIST AWARD - 2015 by Ministry of Environment, Forest & Climate Change in New Delhi today to commemorate World Environment Day. Priyanka Panda, a Std. 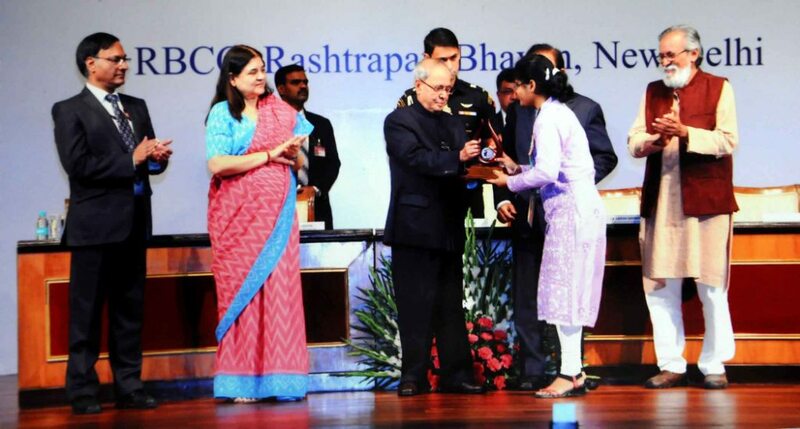 XI student of DAV Public School, Chandrasekharpur receiving the prestigious Dr. APJ Abdul Kalam IGNITE Award 2016 from the President of India at Rashtrapati Bhawan, New Delhi recently, amidst Smt. Maneka Gandhi, Union Minister for Women & Child Development. National Innovation Foundation under the aegis of Ministry of Science & technology, Govt. of India initiated a nationwide talent hunt through INSPIRE Camps where more than 55,000 entries enrolled. Finally, 32 students around the nation got selected for the dignified Award. 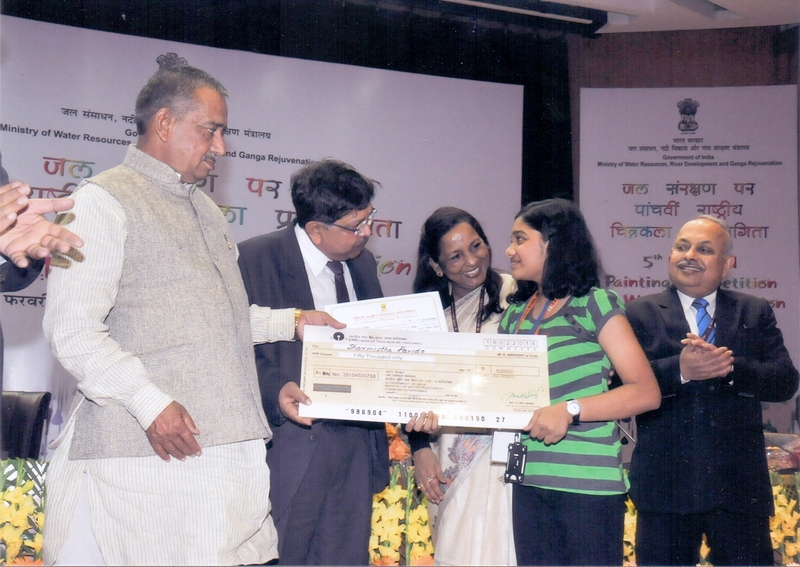 Her project entitled "Fuel wastage alert system in vehicle" was appreciated by the jury and observed by the President of India. Priyanka was felicitated by the school teachers & students on her arrival.